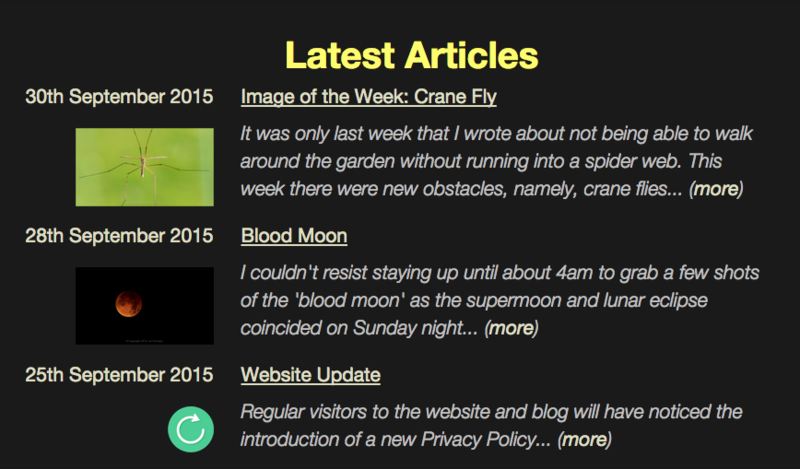 With another new month comes another trio of website updates. For those who visit the Latest Articles page of the website blog, each article summary is now accompanied by a thumbnail image. This is intended to give readers a better understanding of what an article is about, and will hopefully entice them to click through the summary, and read the article itself! 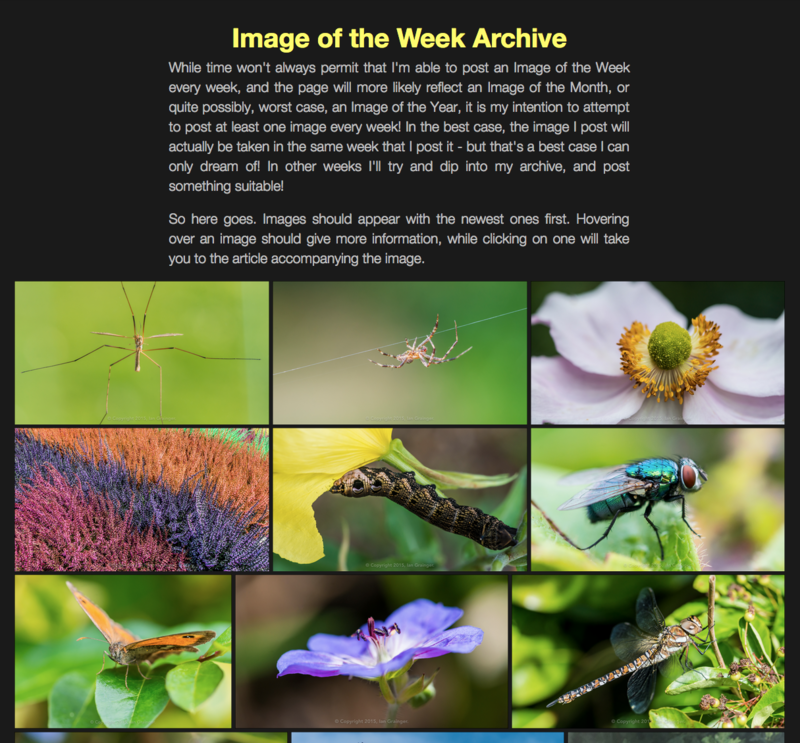 There has also been a complete revamp of the Image of the Week archive page, which has now been brought into the 21st Century! Images are no longer displayed in a long boring list, but are now shown in a gallery, similar to how Flickr and Google+ display their images. Another small, but important change to the website, is the addition of an Acknowledgements page. This is where any third party images, code libraries or text that has been utilised by the website will be acknowledged.